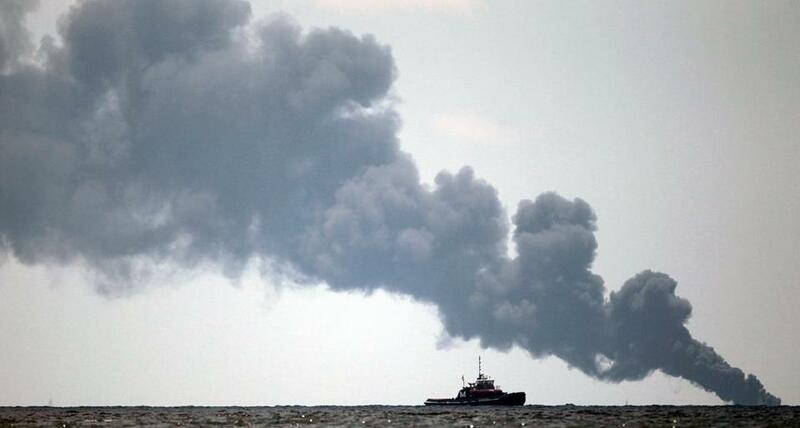 A vessel monitored an oil burn in the area of the Deepwater Horizon oil spill on the Gulf of Mexico in 2010. How quickly we forget. Two Aprils ago, BP’s Deepwater Horizon drilling rig exploded and sank, killing 11 crew members and spewing torrents of oil into the Gulf of Mexico. For all the attention the disaster got then, Congress has done nothing since to make drilling safer. Reform legislation passed the House of Representatives in 2010 when Democrats still controlled it. It died in the Senate, and now the Republican-controlled House refuses to advance new, revamped legislation, or to hold hearings. “It’s a disgrace that the worst environmental disaster in US history has not had a bill pass Congress in response,” said US Representative Edward J. Markey of Massachusetts, the ranking Democrat on the Natural Resources Committee, who co-sponsored past reform proposals and has tried to introduce new ones. Why the inaction? It’s easy when the public doesn’t care. “I hate to say it, but all these nefarious activities depend upon time as their friend in lowering the level of anger,” explained Markey. As summarized recently by forbes.com, BP has already paid some $8 billion in claims and recently agreed to a settlement with plaintiffs to pay $7.8 billion more. But, it still owes money to the government relating to violations of the Clean Water Act. For every barrel that BP spilled into the ocean, a court can levy fines up to $1,100, if the spill is deemed accidental; or up to $4,300 per barrel if caused by gross negligence. Depending on how they are calculated, fines could range from $4.4 billion to $21.5 billion. Clearly, BP had a stake in trying to lower its liability. And the current Congress is helping the industry as a whole maintain a lower level of accountability. “Across the board, we are disappointed with Congress’s lack of actions. Two years have passed since the explosion on the Deepwater Horizon killed 11 workers and Congress has yet to enact one piece of legislation to make drilling safer,” said former Florida Senator Bob Graham, a Democrat who co-chaired the presidential commission. Why not, if it deserves it? The Obama administration has taken some administrative steps to increase safety. There are stronger requirements for casing and cementing of wells. The Interior Department has also been reorganized to separate the conflicting missions of overseeing off-shore drilling from revenue collection. But if the administration changes hands, any regulation change can be rolled back. What has Congress done instead of implementing reforms? House Republicans voted multiple times to protect tax breaks for oil companies that are already making record profits. A House-passed drilling bill would limit the amount of time the government could take to review a drilling proposal to make sure it’s safe. Republicans also voted to allow oil companies to continue to drill for free in public waters in the Gulf of Mexico. It was Markey who forced BP to post a live video feed of spewing oil on the Internet. What people could see through the spill-cam over the course of 87 days got them mad, but outrage faded over time. If only what people see in Congress got them mad, and kept them mad.